“These pics are of my dad and his friends around 1977-78. 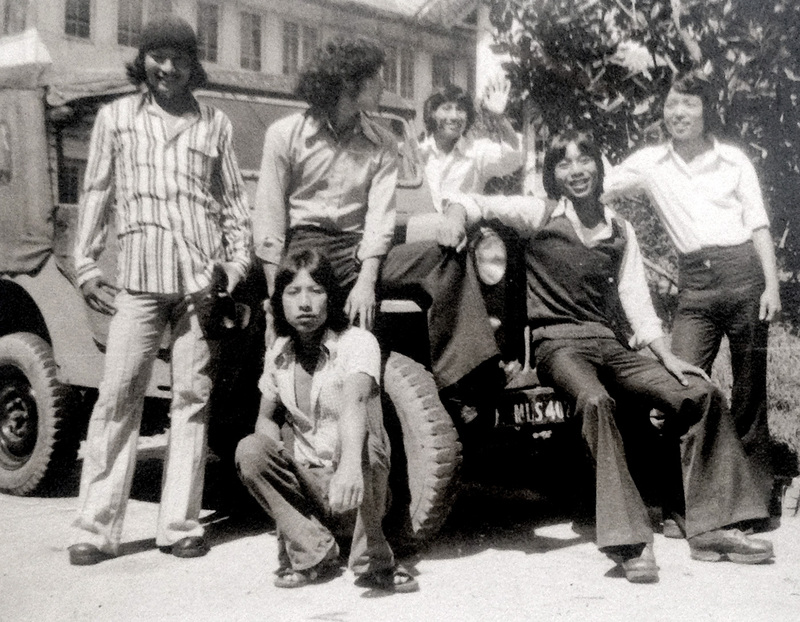 They are all Zeliangrong Naga boys in their late teens studying in Shillong. My dad was a free spirit, an all rounder – local singer, martial artist, he had plenty of friends and roamed around everywhere. I was surprised to hear he turned up good grades haha! Those were interesting days, he used to say. They listened to Grand Funk Railroad, Cat Stevens, Elton John, Linda Ronstadt etc. This entry was posted on February 27, 2015 at 11:28 and is filed under India. You can follow any responses to this entry through the RSS 2.0 feed. You can leave a response, or trackback from your own site. The pants look so well tailored! The one on the far left is my dad!